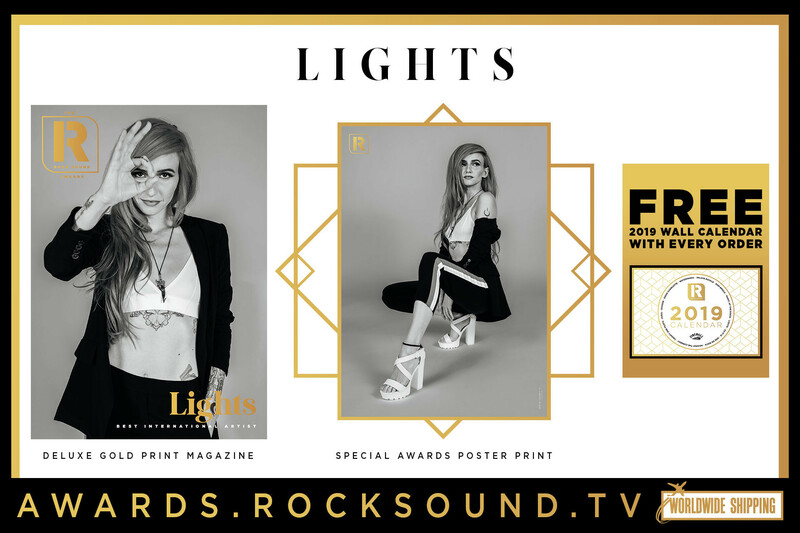 10 years of churning out huge tunes has resulted in some incredible videos for Lights. To celebrate her Best International Artist win at the Rock Sound Awards let's have a look back on them together. Space is a lonely place to be, especially when you live in a city built out of Pringle cans. So this story of journeying to find love halfway over the Milky Way is especially lovely. Honestly, how cute is this? Using all of that advanced technology just to send an adorable message. We are blushing. Even back in 2009 Lights was passiomnate about drawing. Little did she know then what the future would hold for this passion. The term 'that escalated quickly' gets thrown around a lot these days, but when it come to this clip it is all too apt. Imagine if this was how all houses were sold like this. Decorate it yourself and then live in your perfect home forever. Actually that's a great idea, let's make it happen. A walk around the city and a glimpse at all sides of culture that exist there is all you need to make a video very beautiful. Like Mad Max but with less violence and more gorgeous desert views. So, much better than Mad Max in every way. Never forget that the gym is the perfect place to meet the love of your life. Keep on squatting. The best things in life are the simple pleasures that we allow ourselves. In this case a long winding drive and then walk through the woods is all you need to remember how wonderful it is to be alive. An ambitious and perfectly excuted look at loads of bloody mental stuff happening in a lift while Lights looks on oblivious. She must have noticed those two making out at her feet right?!? Young, wild, free and riding bikes. Every summer you have ever had is made to look mediocre in 4 short minutes. Karaoke, dance classes and hi-tech cyborgs. All in a days work really. This is as atmosphertic and serene as it comes. Crisp sea air, beautiful sunsets and lusicous forest just add to the already beautiful music. As the 'Skin & Earth' era kicked off, so did a whole new world to play in for Lights. A breathtaking visual that poses way more questions than it answers. A glimpse into how Lights put her comicbook together in extreme detail while she rolls around near a beautifully calm river. A riff this big deserves a video with just as much clout. Luckily the low lighting and intensity of this here video match the song perfectly. Haunting and sensual in equal parts, this is an expression of sexuality in the most pure of ways. More of an insight into the expansive and often dangerous world that she has created, this is just another example of much Lights has come on as an artist both musically and visually.